Espresso, steamed nonfat milk and a sugar-free flavoured syrup. If you're thinking about cutting back on fat, you needn't feel like you're making a compromise. Once you start doing it though, you may realise you’re not actually giving up that much. 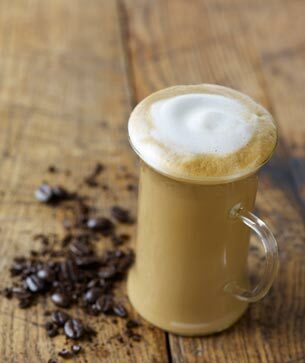 And our Skinny Latte is the proof in the pudding, so to speak. Made with nonfat milk and a delicious, sugar-free syrup of your choosing, this premium espresso beverage is just as rich and flavourful as any coffee we offer. Nonfat milk is often referred to as skim milk. The term comes from the process of skimming butterfat from the milk.